Small businesses rely on capital to fuel business growth. Some are able to generate working capital from operations. Others, however, are forced to consider taking on debt or new stockholders because they can’t. Since most entrepreneurs would prefer to avoid giving up voting rights and/or access to profits, debt is the preferred path among those whose businesses don’t self-fund. 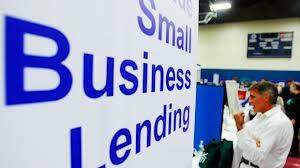 With the recession of the past few years, however, small business lending became much harder to secure. Ami Kassar, who founded Multifunding, published a blogpost yesterday in the New York Times, discussing the current status of small business lending in the United States. If you’re trying to start a business today, you can almost forget about going to a bank for financing. This situation hasn’t changed much in the past year, and we don’t see it changing any time soon — with a few exceptions. If you are opening a franchise outlet that is on the approved S.B.A. list or if you have solid personal collateral outside of your new business, you’ve got a shot. In 2012, frustrations about the difficulties involved in financing start-ups resulted in a lot of political capital being focused on one possible solution, crowdfunding. Unfortunately, crowdfunding hasn’t taken off yet, and I don’t think it will in 2013. It will take time to iron out the kinks and figure out how to make it work — how to strike the right balance between helping companies and protecting investors. On a happier note, things have definitely gotten better for companies that are clearly creditworthy. In 2012, if you owned an existing business and you had collateral, cash flow and good credit scores, it was a good time to borrow money at low rates. And I think that will continue for some time. Banks are now hunting eagerly for these borrowers. The problem is that there are not nearly enough of them. And that’s why a group of alternative lenders — including factors and merchant-cash advance lenders — are lined up and ready to supply money to most of the rest of us. The challenge is that these borrowers face high rates that make it tough to grow and expand as much as they would like. The alternative financing industry is growing rapidly and, I believe, will continue to grow in 2013. These lenders are extremely entrepreneurial and are leaving the banks behind with their speed and use of technology. Many are backed by premier investment banks and Silicon Valley venture capital powerhouses — investors who understand that entrepreneurs and small-business owners are throwing up their hands in frustration over how long it can take to get a loan from a bank, especially if the loan is backed by the S.B.A. More and more businesses are willing to pay the price of the alternative lenders just to be able to get their capital and move on. There are some indications that the price of alternative lending may be coming down a bit as the industry gets more competitive. I expect this to continue in 2013. That said, there is still a wide discrepancy in pricing between bank loans and alternative loans. Educate yourself on alternative lending in your area. I attend meetings of the local chapter of the Commercial Finance Association and have met some folks who are staunch supporters of small businesses through their practices rather than the mere words that we often hear from politicians or some of the large banks who really have a poor track record with small business. It very well may be that your capital needs could best be served by this emerging category of providers!